I just got this and have played with it a little. I found a great tutorial on Andrea's website. This is going to be the rave and I am so excited to create projects with this wonderful tool. Enjoy this video! Here is the project I did using the Circle Scissor Plus. When you care enough to send the very best – stamp it yourself! Imagine its 7:00 P.M. the night before your husband’s birthday. He’s been out of town all week on a business trip, but will return at 11:00 tonight. You ordered his present a month ago, but with working full time, taking the kids to practices, games and school functions while he’s been gone, you just haven’t had time to shop for a card. You could pull the kids away from their favorite T.V. show all the while trying to convince them that going to the store to “get something for daddy” (in a store where they can’t touch anything) will be “fun.” Fight with them to put their snowsuits, hats and mittens on. Trudge through three feet of snow in your driveway carrying the baby and holding on to the other two while trying to find your keys in the bottom of your purse. Stuff all three kids into their respective car seats. Listen to them yell “stop touching me” for five miles while you drive to the Mall. Get the closest parking space you can to the entrance for the Hallmark store (approximately three miles away). Carry the baby while holding on to the three-year old and trying not to fall on the ice underneath the snow. Meantime, yell at the six-year old not to climb the snow piles left by the less-than-effective snow clearing operation. Trudge into the store, approximately another mile from the entrance to the mall, while all three children whine about how hot they are, tired they are and how they want you to carry them. Sit the two youngest down in the aisle nearest the “husband” cards while you continually admonish the oldest “don’t touch” the pretty cards. If you’re lucky you have Stampin’ Up!® supplies at the ready. Make a card from your heart for your husband. Spend the rest of the time watching your children’s favorite T.V. show with them. Total time to drive to the store and pick out a card: about 1 ½ - 2 hours. Total time to make a card from the heart: about 15 minutes. And no one else will have a card anything like the one you made from your heart! Sale-a-Bration is my favorite time of the year--FREE STAMPS for everyone!!!! And what tops FREE stamps--but a FREE catalog too! That's right--FREE stamps and a FREE catalog! Stampin' Up! is including a FREE catalog in all orders placed on-line. Click on the brochure in the left column to download the Sale-a-bration brochure! 1. Place a $50 order. For every $50 you spend, you get to choose from the Sale-a-bration brochure. 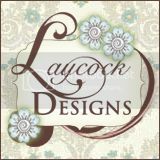 And this year it is not just stamps--there is also beautiful Designer Series papers and ribbons to pick from! For every $50 you spend--you get to select one item! 2. Be a hostess of an in-home workshop or a book party. For every $300 in "party sales," you get a FREE selection from the Sale-a-bration brochure. 3. 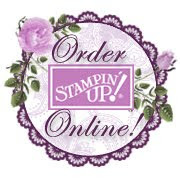 Join Stampin' Up!--if you purchase the starter kit during Sale-a-bration, you get to select ANY--yes, ANY stamp set from the catalog for FREE. And to make it even better--Stampin' Up! is discounting the Starter Kit by 15%. Click on "flyer" in left column for more details. Ready to order? Just click on the SHOP 24/7 button on the top of the right column!